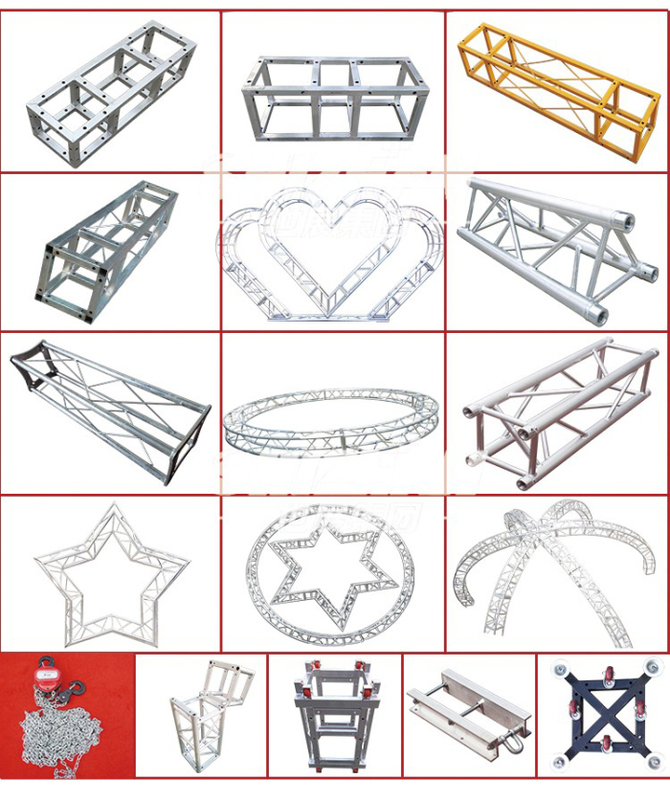 ITSC-R161209 AluminumTruss Rooftop is standard available in 14x12m, 16x12m, 18x14m and 20x14m. 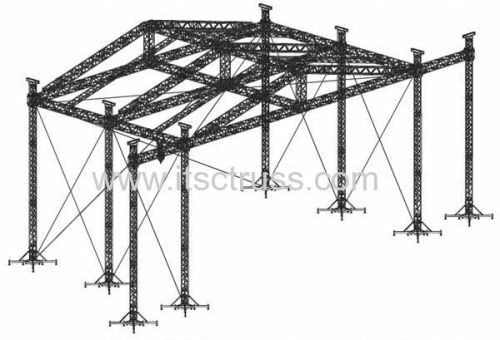 The beams can be 520x520mm,ect and pillars can 390x390mm or 400x400mm truss segments. PA wings are available. 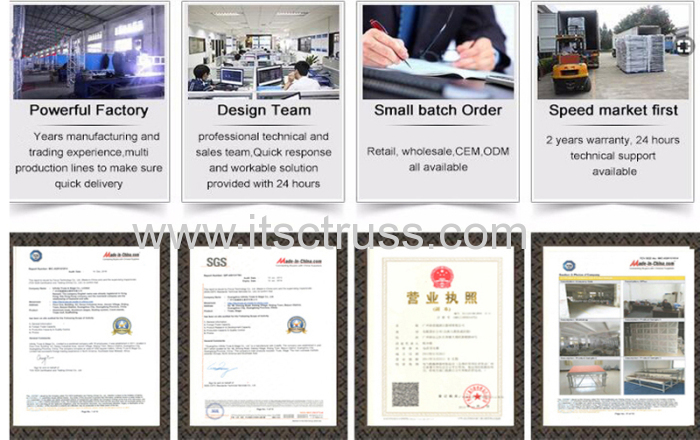 All the trusses are tested before deliveried. 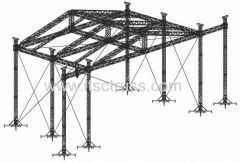 If you need to hang more stage lighting in the middle, you can add more cross beams trusses rigging in the middle to hightlight the stages. 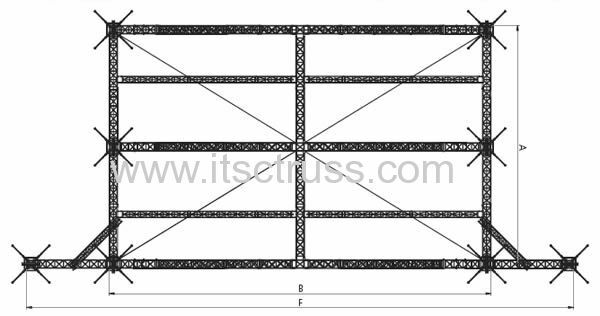 Iron scaffolding trusses can be also installed at the back of the Rooftop as backdrop. 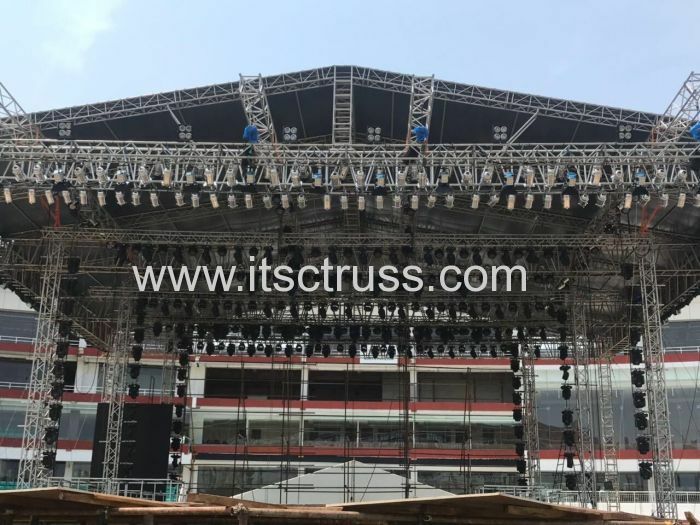 and many stage lighting clamps can be attached to the trusses rigging to hang the lighting futures. 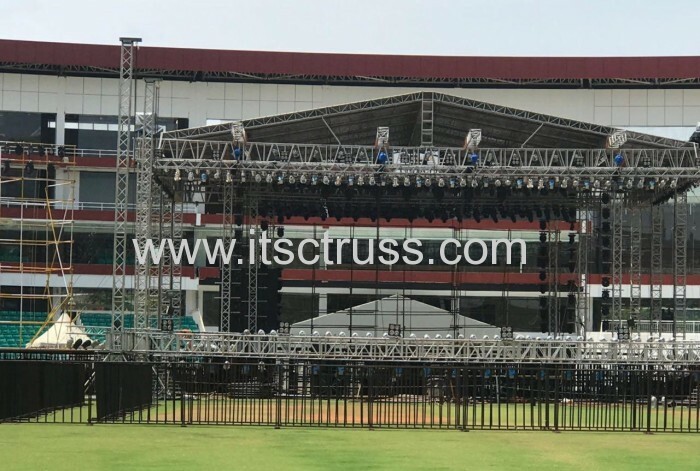 The whole Rooftop Truss system are installed with mobile stages on the grass with Barricades for audience in outdoor concerts.